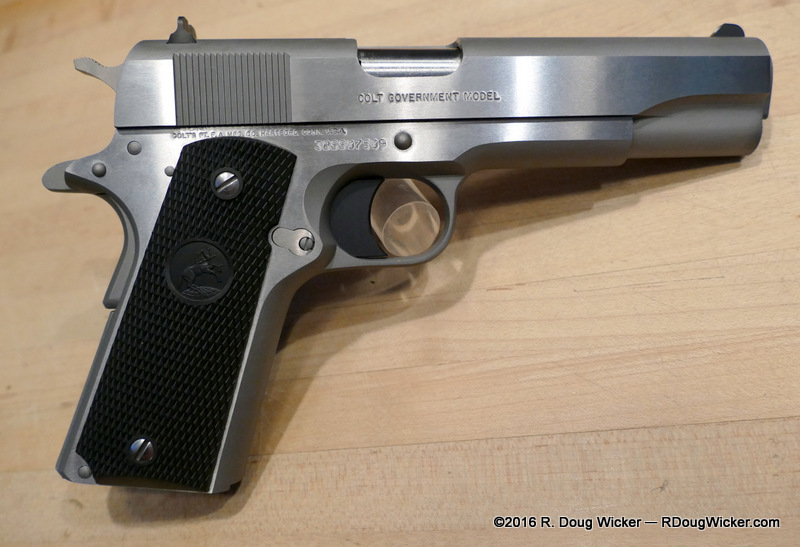 You may recall that I gave a first-look review of this intriguing weapon and caliber before. 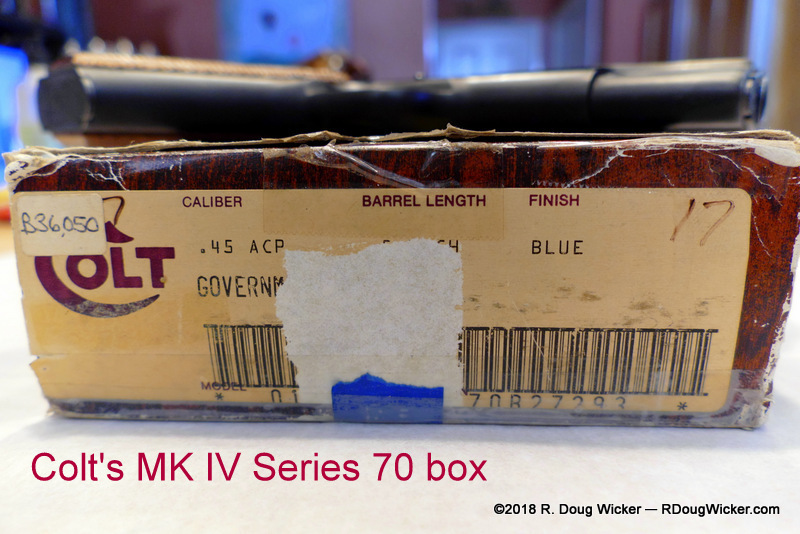 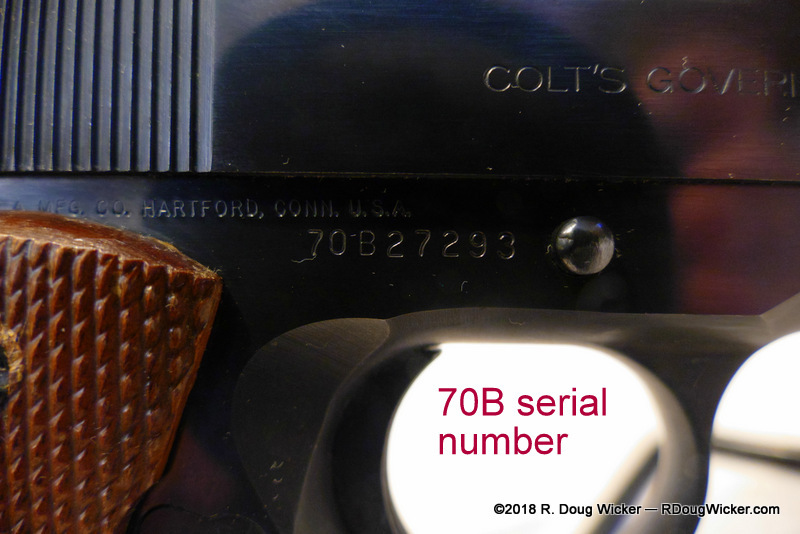 I had no intentions of firing that weapon, and still don’t as it’s a pre-bankruptcy example of the venerable Colt M1911 design in a somewhat rare caliber. 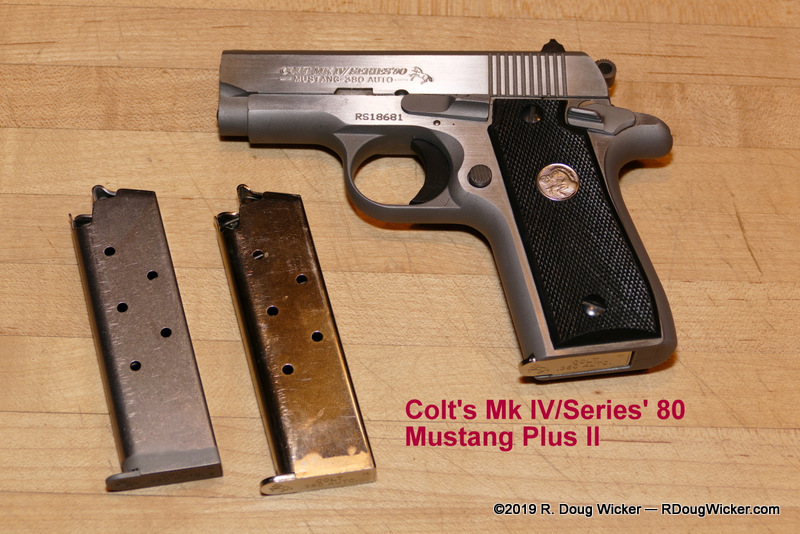 So, finally, I got around to firing this incredible combination — the classic Colt M1911 chambered in the powerfully exquisite .38 Super +P cartridge. 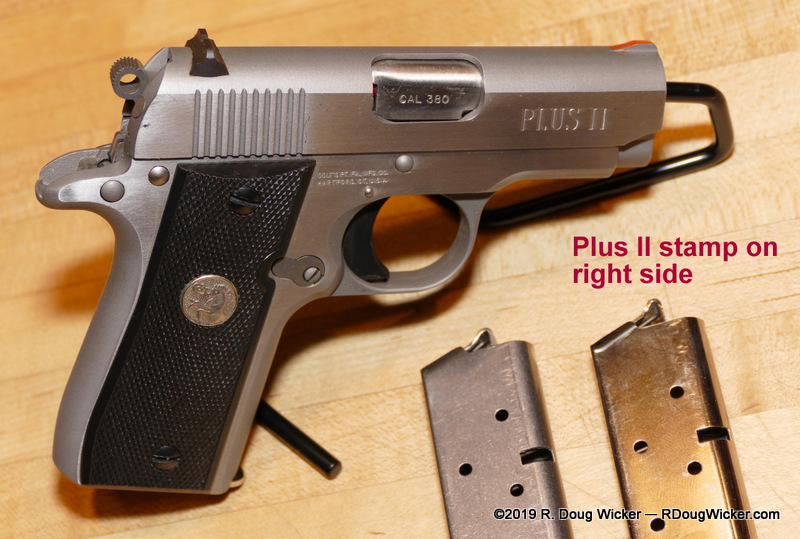 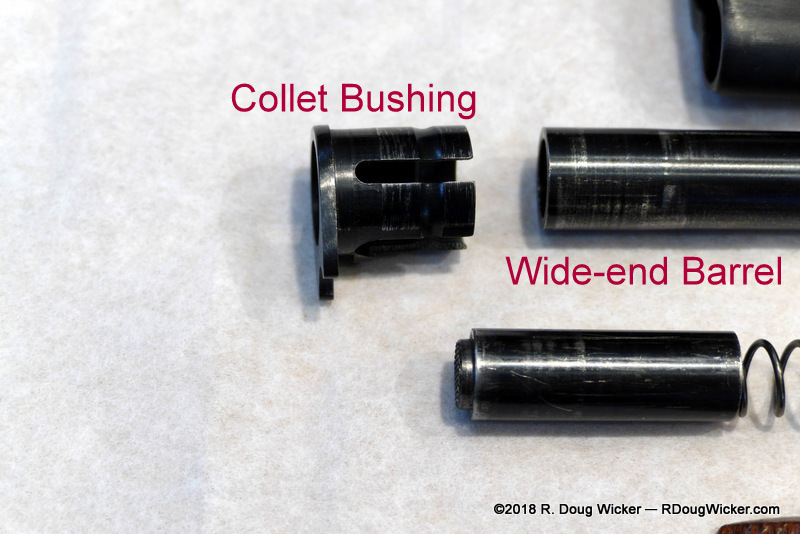 For an explanation on how this combination came about in 1929, and a brief history on the .38 Super +P cartridge, read my first-look review by clicking on the link below. 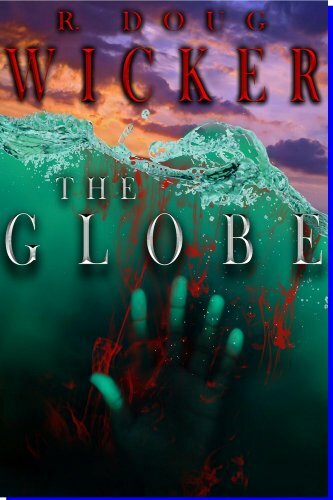 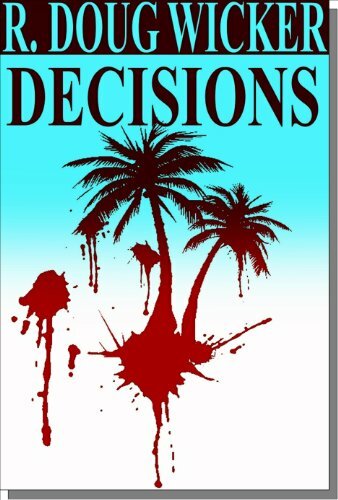 I’m sure you’ll find it both informative and entertaining. 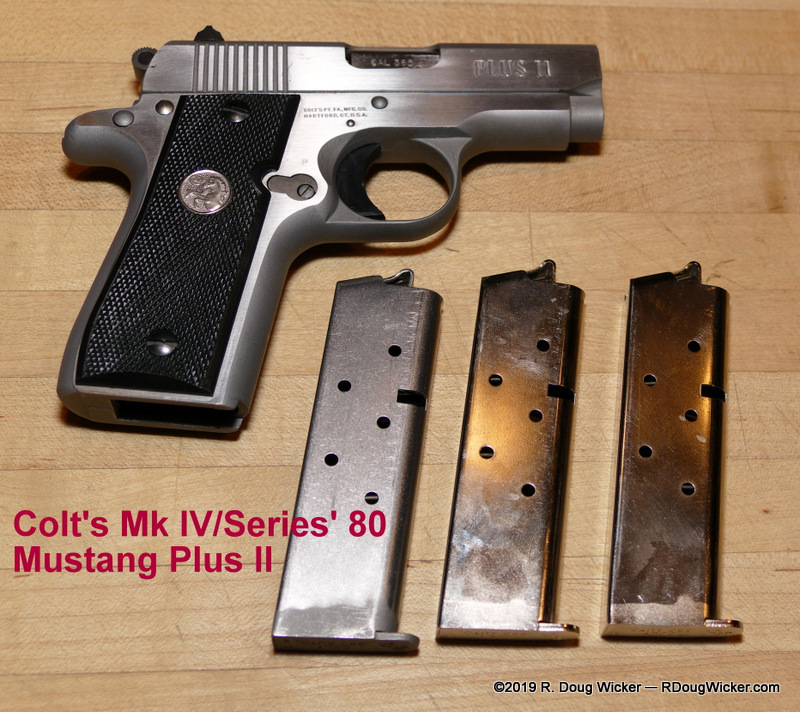 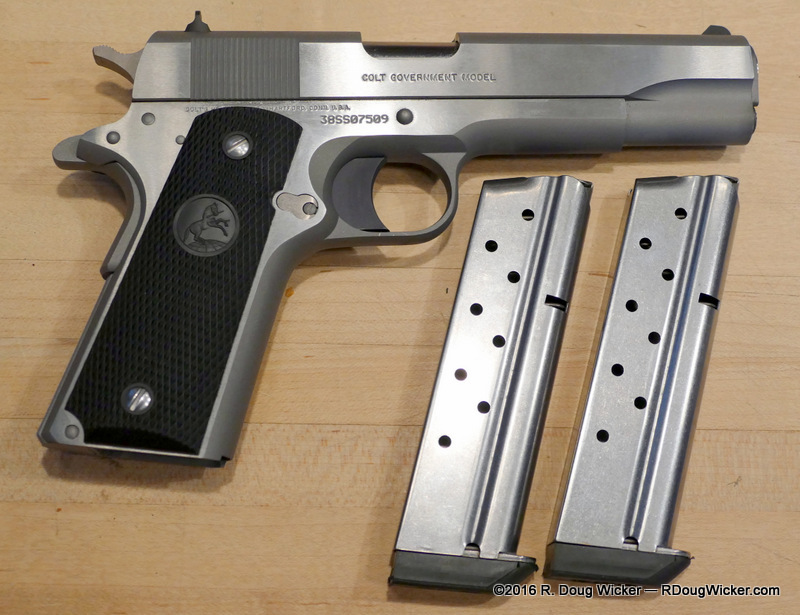 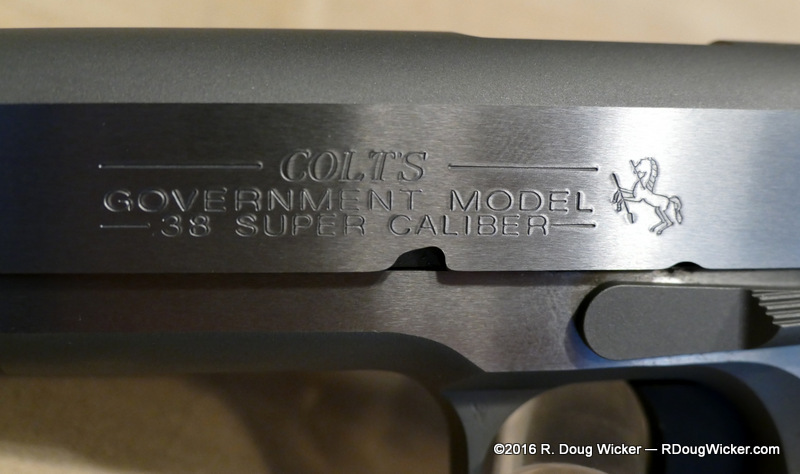 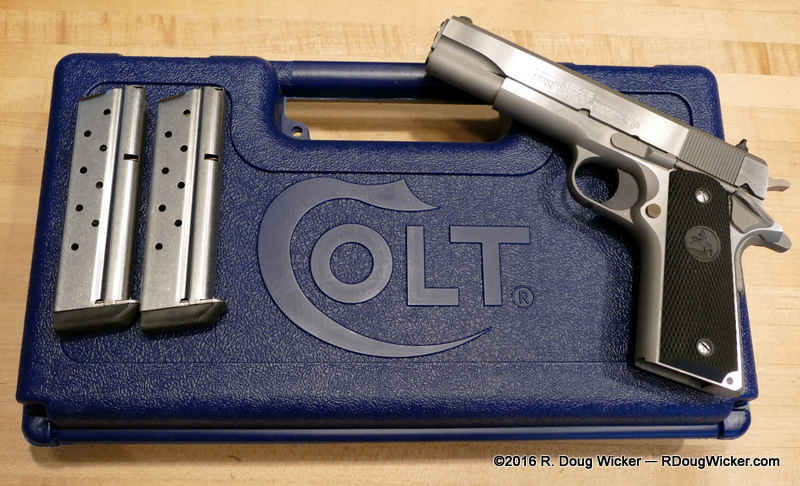 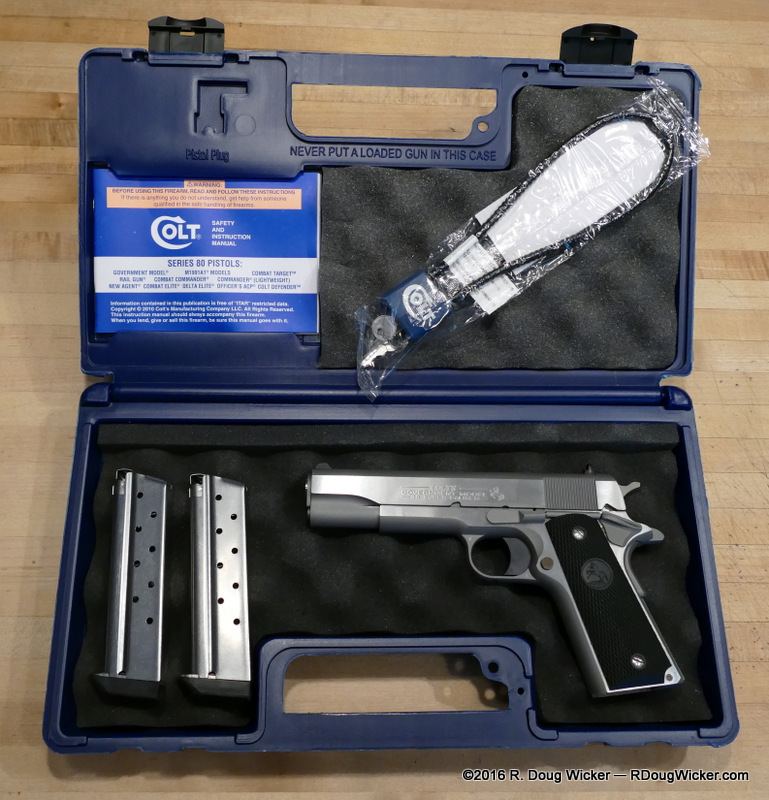 Stainless Colt .38 Super +P M1991A1 — How do you go bankrupt making something this good? 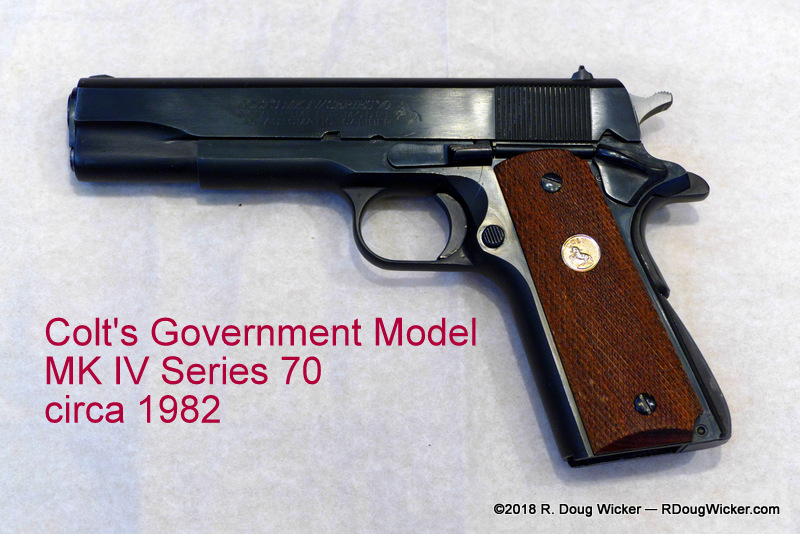 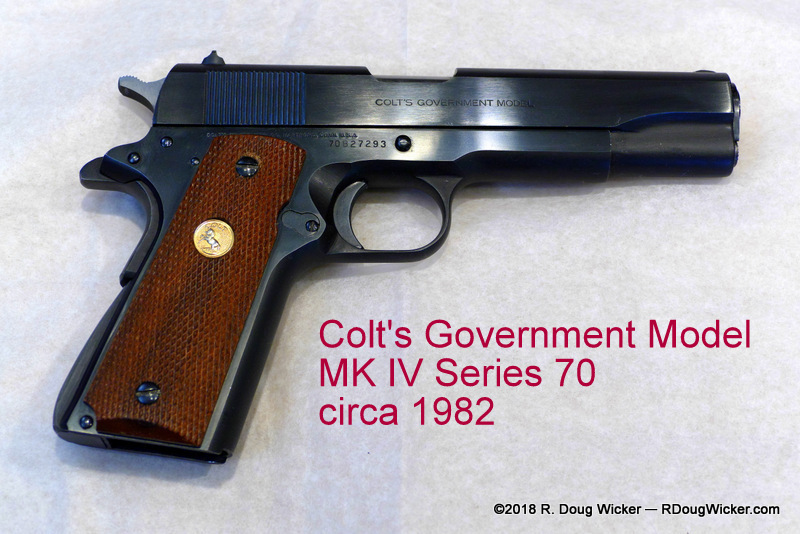 And since I’ve covered the trigger on the Colt M1911 in those past articles, I won’t cover that again here today except to say that it’s what you’d expect from the M1911 design. 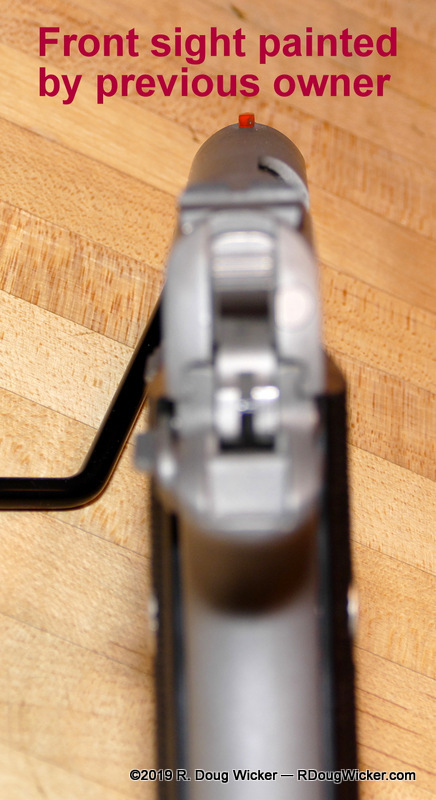 In a word — Superb. 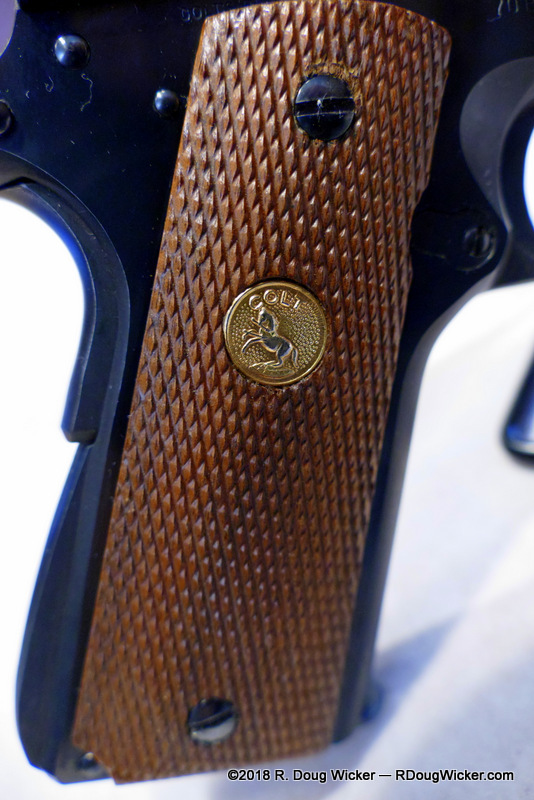 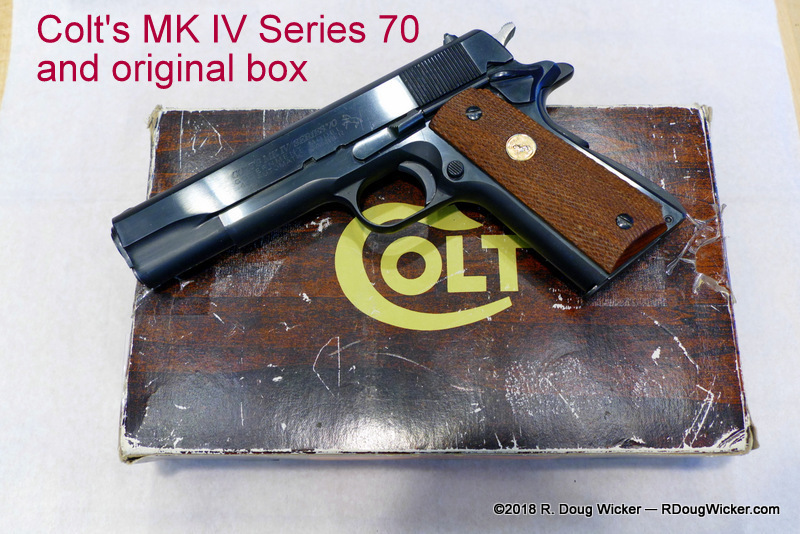 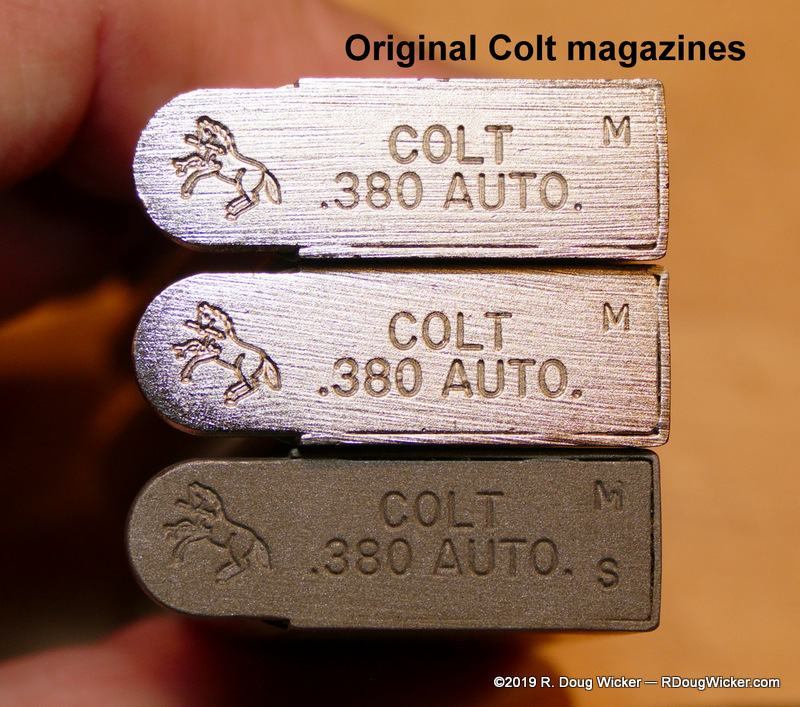 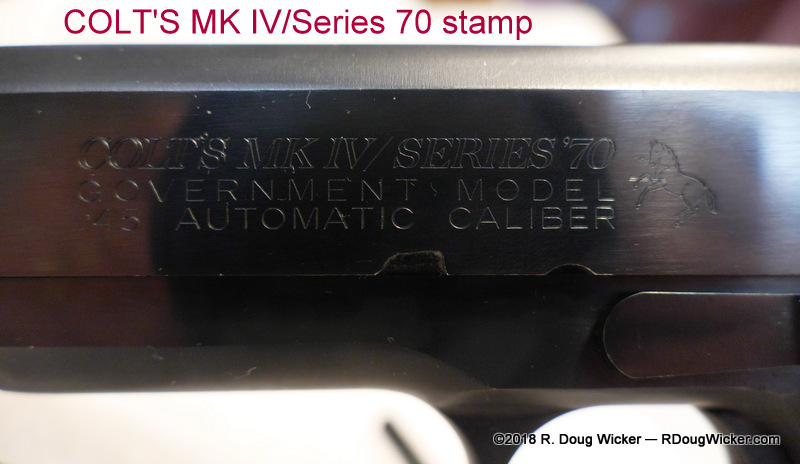 As I’ve stated previously in the above articles, the Colt M1911 was originally designed around the .45 ACP cartridge. 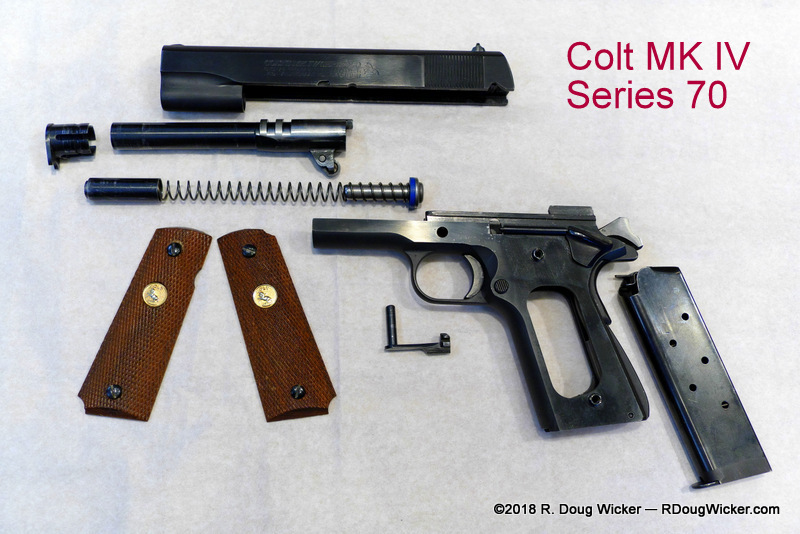 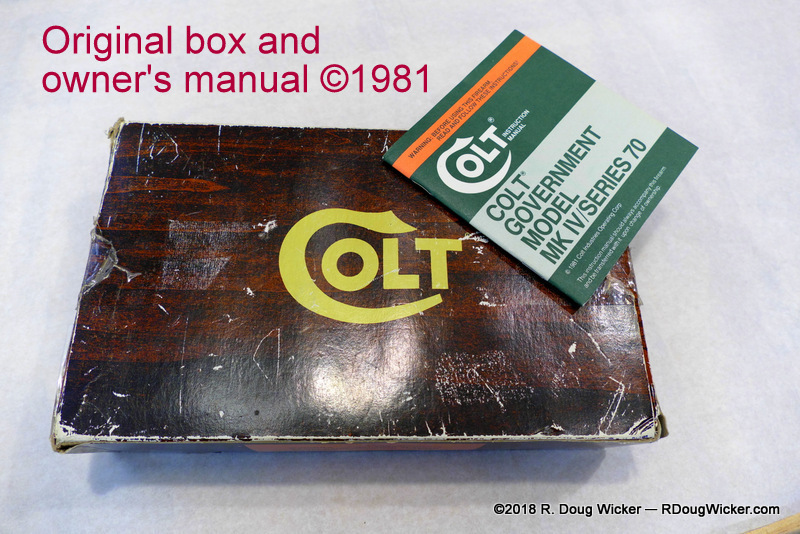 Only in 1929 — when law enforcement had trouble going up against Depression-era desperados in thick steel-bodied cars and wearing body armor impervious to the .45 — did Colt get around to putting a bit more oomph through the Colt M1911. 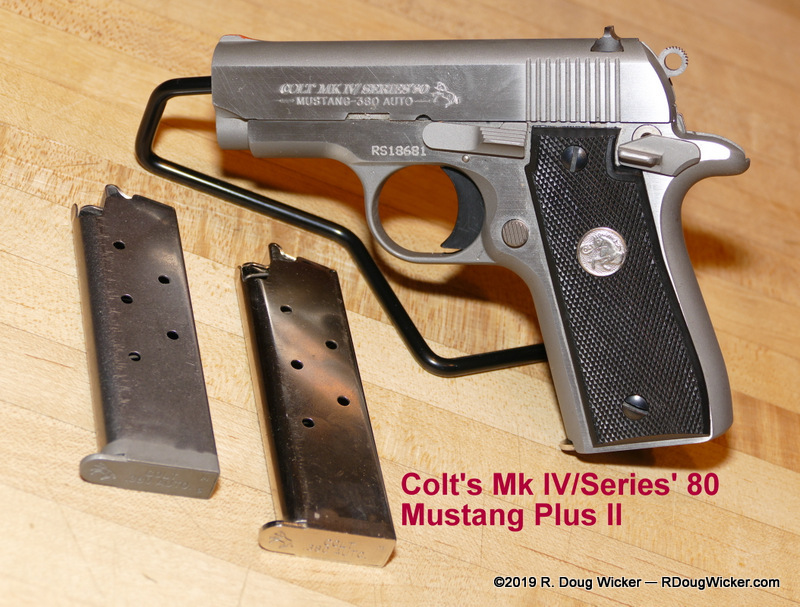 That resulted in what is basically the forerunner to the Magnum load — the .38 Super +P, which would for six years reign as the most powerful handgun cartridge until the advent of the .357 Magnum revolver in 1935. 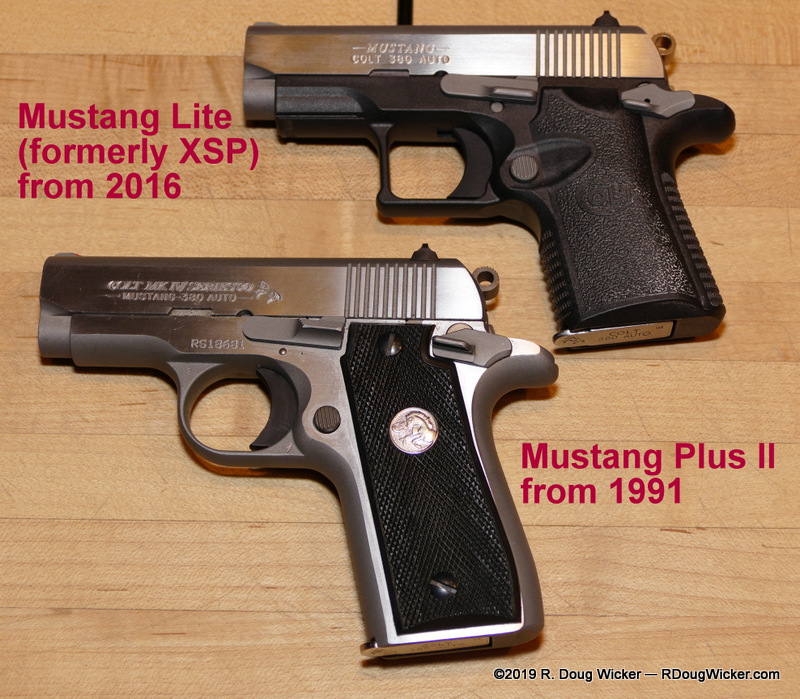 The .38 Super +P still beats the .40 SW, and even compares favorably with most commercial loads of the .357 SIG. 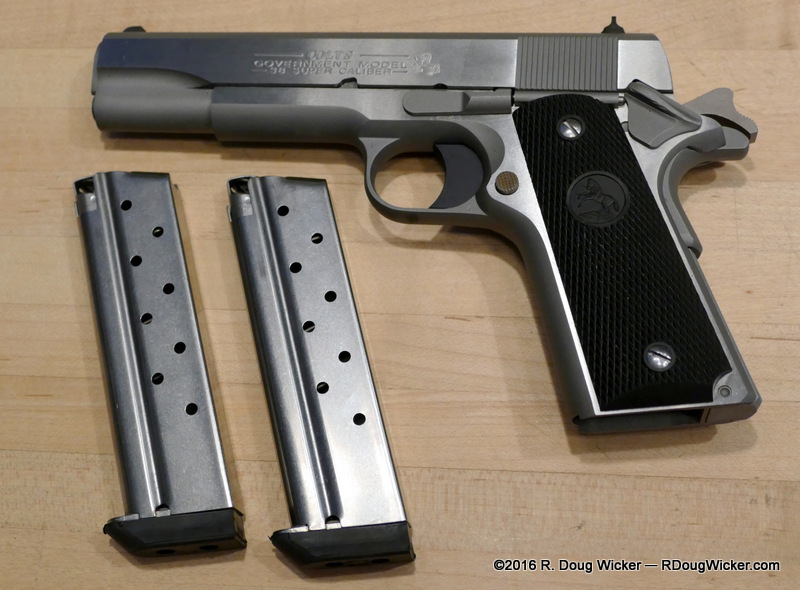 If anything, the .38 Super +P feels more like the recoil one experiences when firing a standard locked-breech 9mm Parabellum when shot from a SIG P229. 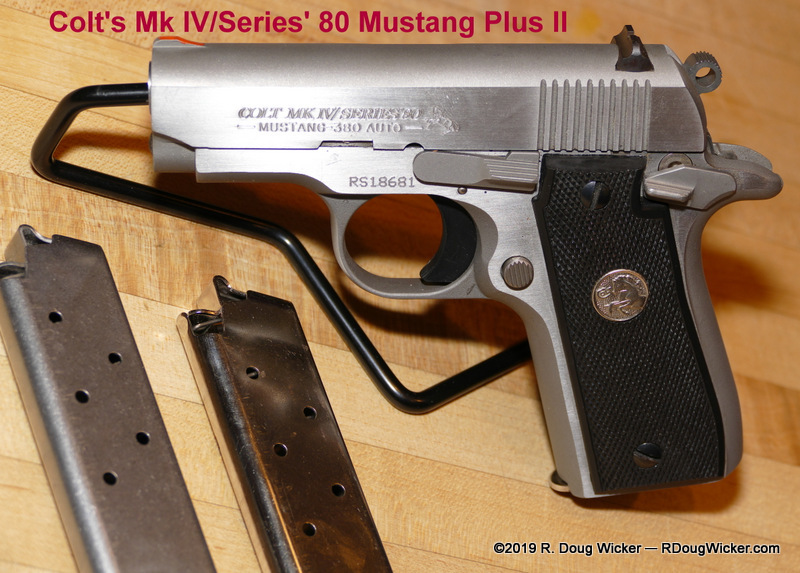 The recoil impulse feels quicker than with an M1911 firing a .45 ACP, but the muzzle rise seems less and reacquisition on target is about the same. 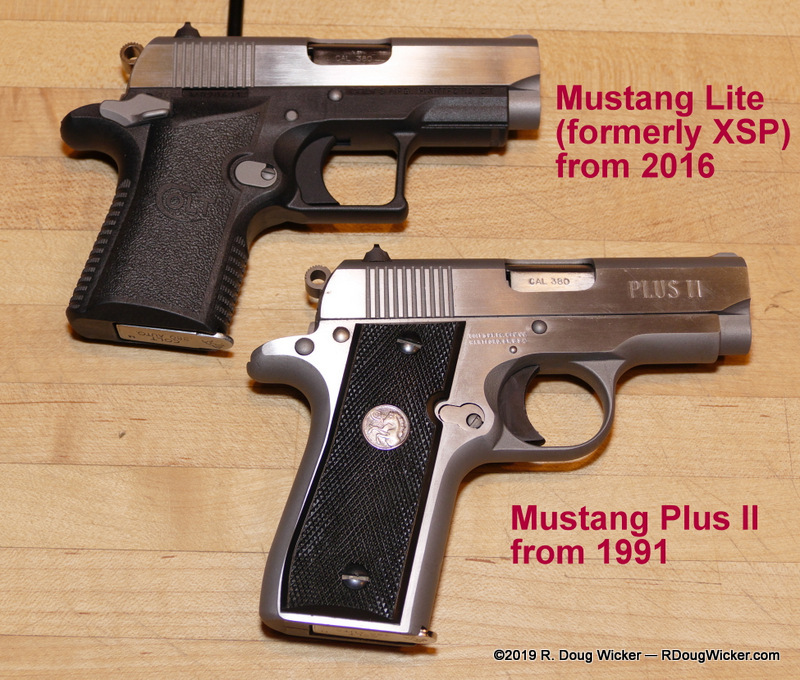 There is one difference, however. 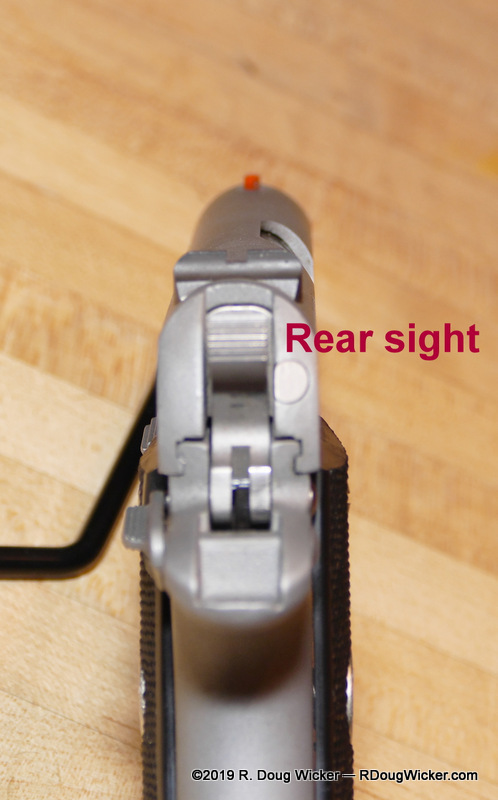 That’s in muzzle flash. 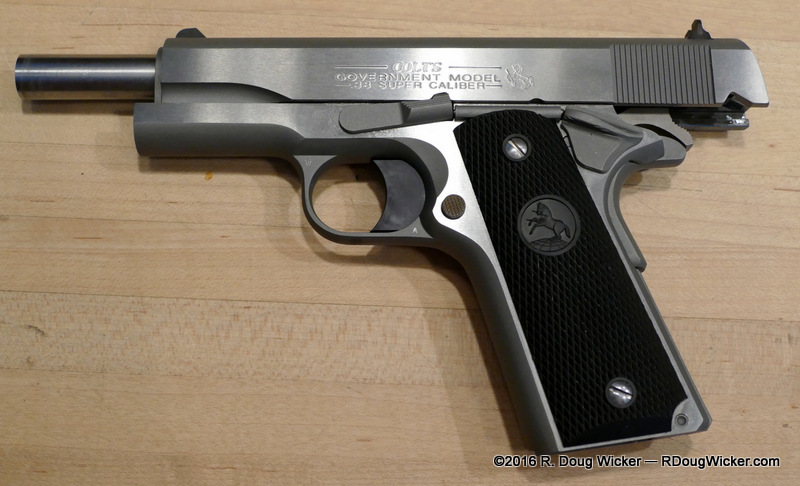 I shot this M1991A1 .38 Super at an indoor range with somewhat dim lighting. 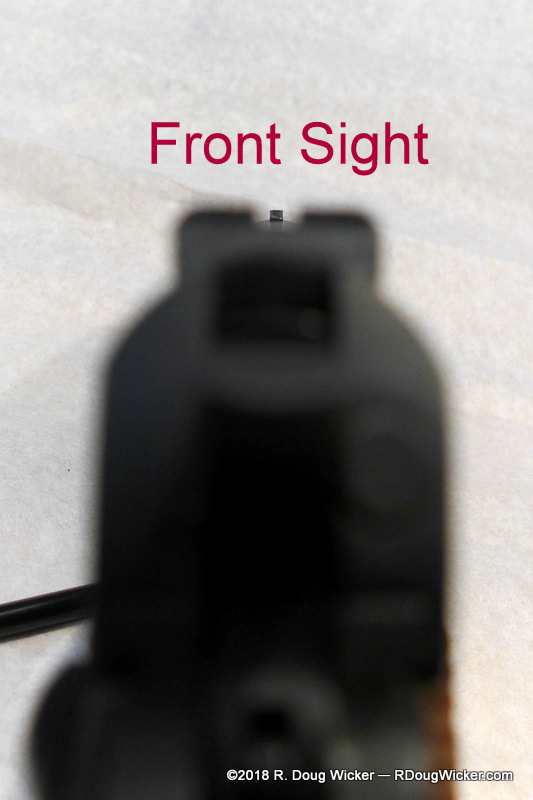 The flash was . 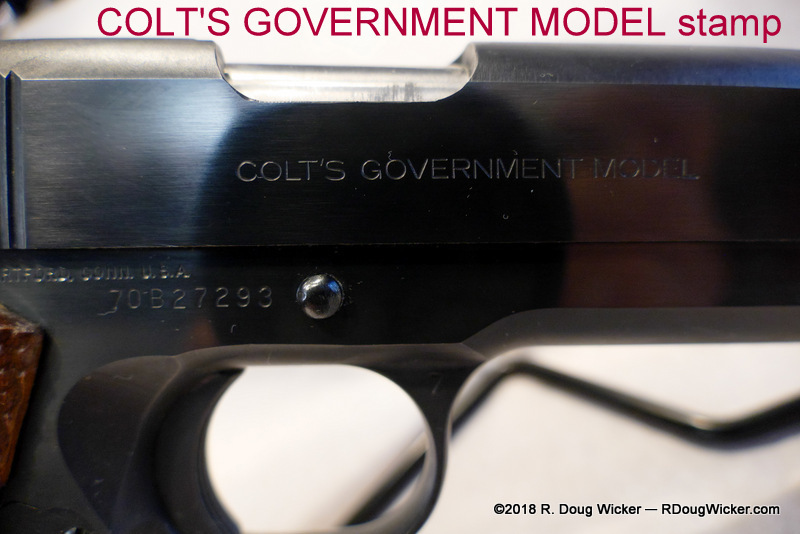 . . impressive. 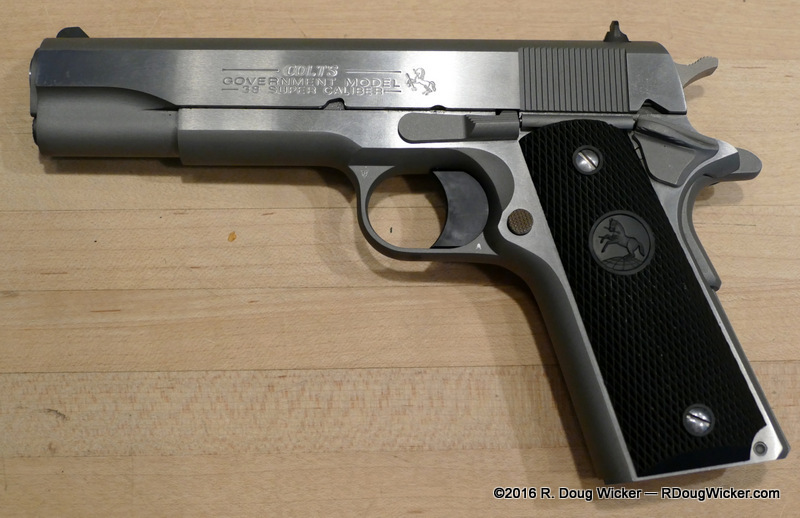 Not .357 Magnum-out-of-a-two-inch-barrel impressive, but you’ll definitely notice a flash coming out of the muzzle. 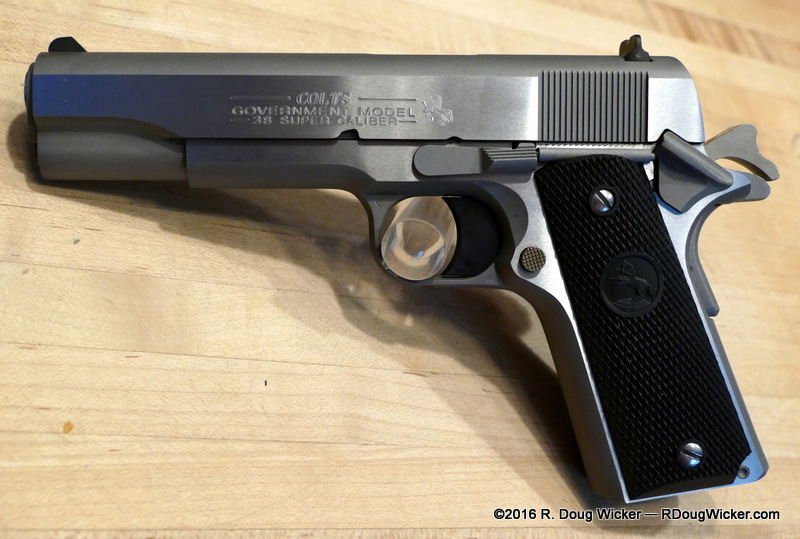 My impressions after firing the .38 Super +P is that this is probably my new favorite handgun shooting round, and the M1991A1 in stainless is now my new favorite hiking piece except in brown bear country. 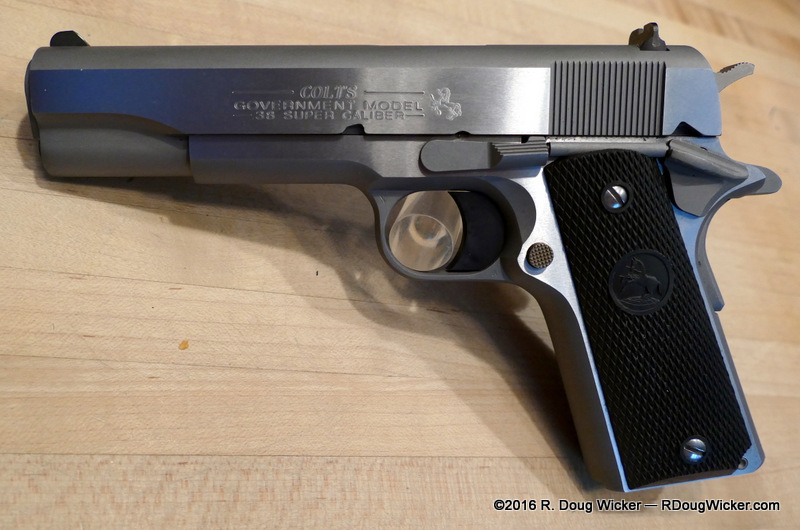 For that I’ll rely upon bear spray and shop around for something even more powerful as a backup to the spray, perhaps a Smith & Wesson .500 revolver with ported barrel. 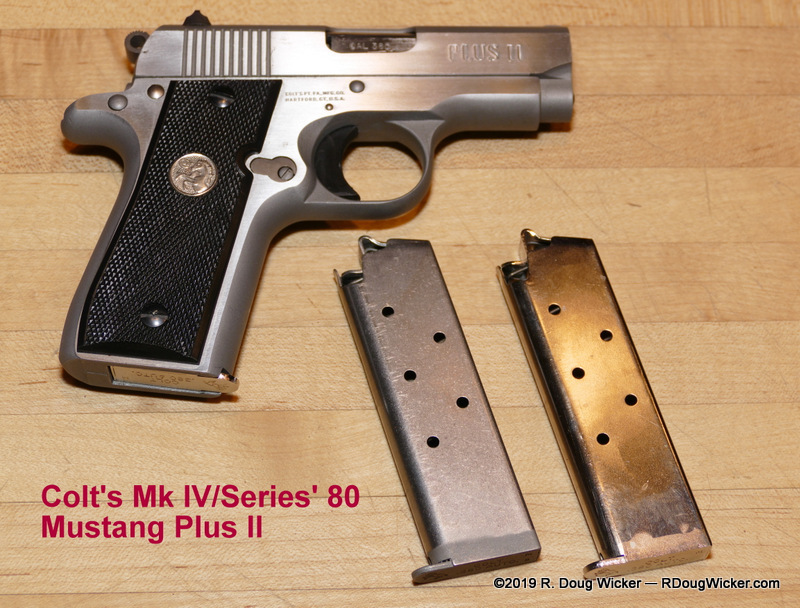 Yep, the Colt M1991A1 is simply that fun to shoot. 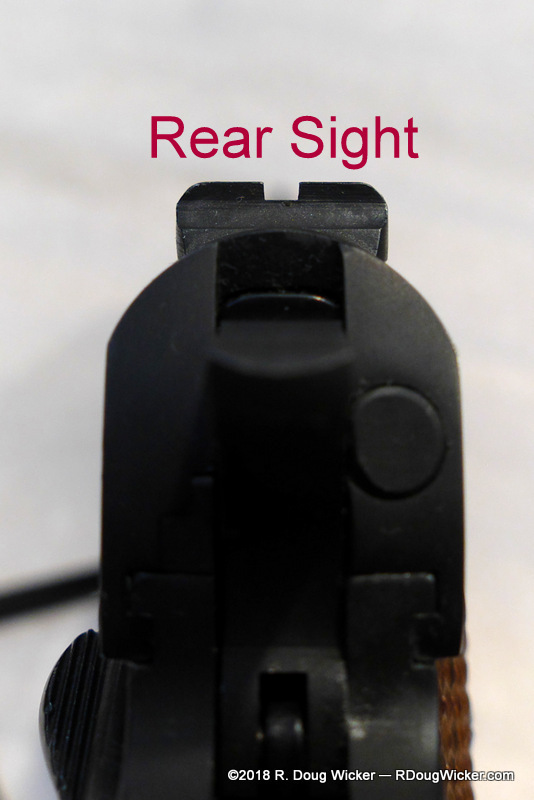 This is also an incredibly accurate combination in an very controllable package.